Adjustable dumbbells have gained a lot of popularity because of the efficient designs that allow you to easily implement them into your strength training regimen. Choosing the best adjustable dumbbells can be challenging as there are a variety of different options available on the market. You will need to consider your personal requirements, preferences, and budget to make an educated decision. 1 What is the Perfect Adjustable Dumbbell? 2 How to Choose the Best Adjustable Dumbbells? What is the Perfect Adjustable Dumbbell? When it comes to adjustable dumbbells, the term ‘best’ may have the different meaning for different individuals. For beginners, a smaller set of dumbbells would be better since they are only interested in the light workout. They don’t want fancy features; they are simply looking for affordable equipment with basic functions. For enthusiasts, the bigger sets would be better since they are helpful for adding mass through a heavy workout. They also choose the ones that offer more personalized functions. While different individuals have different preferences and requirements, there are some prerequisites everyone should keep in mind if they want to acquire the top adjustable dumbbells. These include safe, comfortable, and compact design, padded handle for wrist protection, durable and rust-free materials, good after-sale and service, etc. Choosing the right brand is also essential. Overall, the best adjustable dumbbells will be those that suit your specific exercise goals and budget. How to Choose the Best Adjustable Dumbbells? Since there is a wide variety of dumbbells available on the market, it can be hard to decide which one to buy. There are several things to consider when looking for an adjustable dumbbell. They are described below. There are many popular brands available in the market offering high-quality adjustable dumbbells to fit the needs of their customers. Some of the best brands include Bowflex, PowerBlock, Yes4All, and Ironmaster. Some brands are more expensive than the others, so going for a slightly bigger set would be cheaper in the long run. Bowflex offers many options. 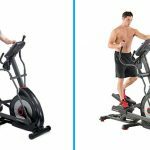 Bowflex SelectTech 552 and SelectTech 1090 are their most popular products. SelectTech 1090 can be adjusted from 10 to 90 pounds via dial while SelectTech 552 can be adjusted from 5 to 52.5 pounds on each dumbbell. PowerBlock is also a top brand. 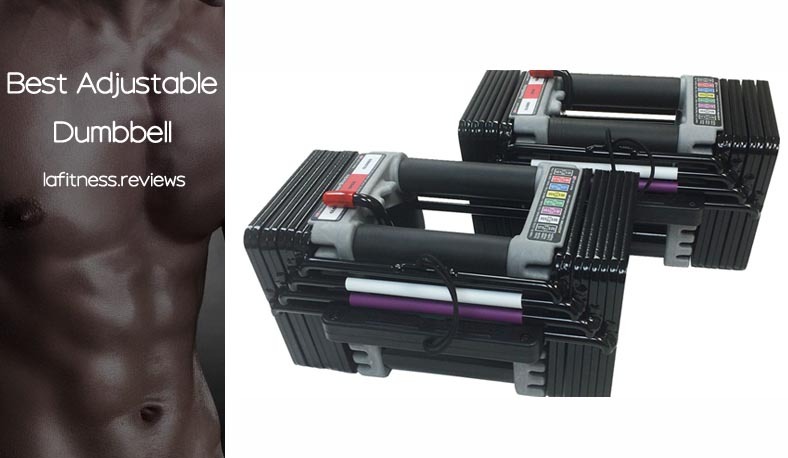 Some of their popular products include PowerBlock Classic, PowerBlock Personal Trainer Set, and PowerBlock Elite. Yes4All manufactures reliable and affordable adjustable dumbbells. Most of their dumbbells are made for heavy workouts. Ironmaster dumbbell set is heavier than most others available on the market. You can adjust it up to 75 pounds. Furthermore, it can even be set up to 120 pounds with an add-on kit. They are ideal for heavy workouts. 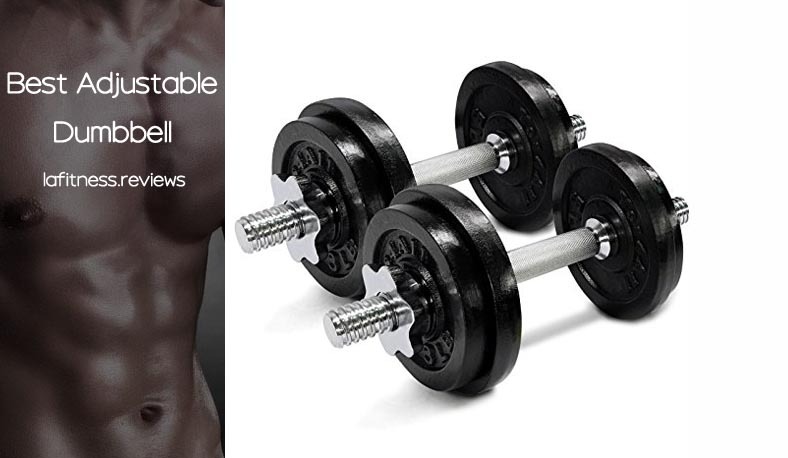 Cap Barbell 40-Pound Dumbbell Set is a good choice if you are looking for a more traditional set of adjustable dumbbells. XMark Fitness and Jillian Michaels 25 lb. adjustable dumbbells are both fantastic choices if you are just getting started. The first thing to do is evaluate your strength as well as how serious you are in weight training. Evaluate how strong you are now and what your significant goals are. Also, determine what exactly your plans are when you start weightlifting. Can you lift 30 lbs. easily? Would 50 lbs. dumbbell be sufficient to reach your goals? All in all, note your fitness goals and write them on a piece of paper so that you have a better idea regarding what you need. The prices of dumbbells increase as they get heavier. If you are a beginner and want a light workout experience, then 20-24 lbs. set would be sufficient. Fitness enthusiasts prefer heavier sets that go up to 50-75 pounds. Weight adjustment is another thing you should consider. Different models have different weight increment levels. You don’t want a sudden increase of 5 lb. to enhance your workout intensity. Look for dumbbells that have shorter weight adjustment levels. Dumbbells are usually manufactured using chrome, sand, concrete, and cast iron. The material a dumbbell is made of has a significant impact on its durability. Chrome dumbbells are high end. They are the most durable but are also costlier. Less expensive dumbbells are usually made of cast iron. They have average durability. The cheapest ones are made of sand or concrete. They are the least durable. The choice of material depends on your budget. If you want to buy adjustable dumbbells for long-term use and price is not an issue, then chrome is the material you should go for. Comfort and safety are two important factors to consider when buying adjustable dumbbells. Generally, large size dumbbells are more comfortable but there are other things that impact their comfort level as well. These include design, grips, build quality, etc. As far as safety is concerned, it is recommended that you avoid dumbbells that are supplied with a clamp for securing the plates. This is because clamps decay very quickly so there is a risk of weights being dropped upon you, causing injury. Buy adjustable dumbbells that have safe designs. There are many brands that offer quality adjustable dumbbells to help you reach your fitness goals quickly. The price differs from one product to another. Don’t buy an adjustable dumbbell just because its cheap. Similarly, buying the expensive ones is not a smart choice either. You should look for those that offer a good balance between features, build quality, and pricing. Those are the ones that offer the best value for money and are well worth the cost. The shape and size of a dumbbell is another important factor to consider. The compact size of dumbbells allows them to be stored easily. They are also portable. A larger size is not essentially a bad thing either. Some people prefer large size dumbbells for their increased comfort level. As far as shape is concerned, stay away from round dumbbells as they will roll around when you set them down. Hexagon, square, and octagon shapes are better options as the edges will keep the dumbbell in place regardless of where you put it. Lifetime warranty is the strongest warranty you can get when it comes to adjustable dumbbells. However, keep in mind that a warranty from a new company is not worth as much since newer companies come and go quickly. But if an established company is offering it, then it is worth a great deal. You should consider this when comparing warranties of adjustable dumbbells from different brands. 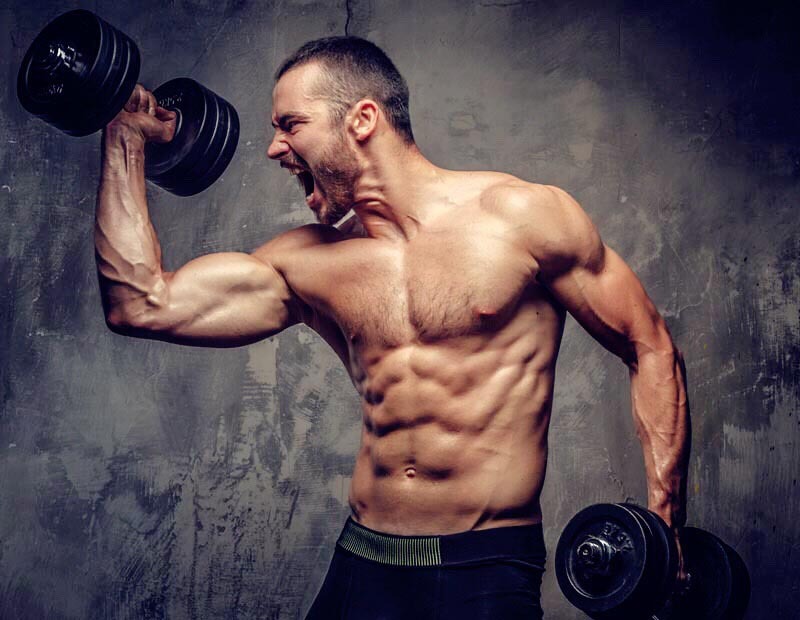 Now, considering all of these differences, we have put this piece together to assist you in buying the top-class adjustable dumbbells on the market to help you achieve your fitness goals. Weight Range 5 – 52.5 lbs. 10 – 90 lbs. 40 – 200 lbs. 5 – 50 lbs. 3 – 24 lbs. Adjustment 2.5 lbs. 5 lbs. 6 models 2.5 lbs. 3 lbs. The Bowflex SelectTech 552 Adjustable Dumbbells are no doubt the best quality dumbbell in the market. These set of dumbbells are easy to grip making them suitable for both men and women. Whether you’re a beginner weightlifter or a pro, the Bowflex SelectTech 552 dumbbells are well easy to use making them a great value for money spent. The weight of the Bowflex SelectTech 552 Adjustable Dumbbells ranges from 5 pounds to 52.5 pounds with an increment size of 2.5 pounds. 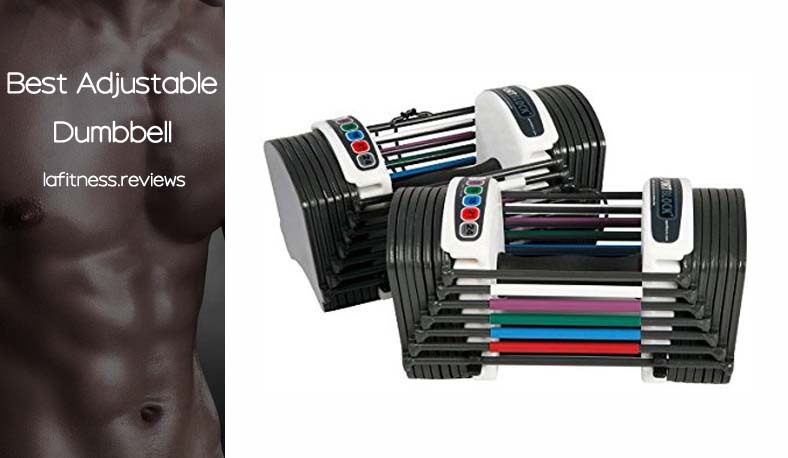 The most prominent features of the Bowflex SelectTech 552 Adjustable Dumbbells are the colorful design, the durable design as well as the tight and comfortable grip. Consequently, working out with these pair of equipment is quite comfortable and safe. Also, these features mean that the equipment is perfect for fitness enthusiasts of any level. Another feature of these dumbbells is the ease with which the weight can be adjusted. The Bowflex SelectTech 552 Adjustable Dumbbells feature a dial mechanism which is unique to the Bowflex adjustable dumbbells alone. With this unique mechanism, you can adjust the weight quickly with just a turn of a switch. The Bowflex SelectTech 552 Adjustable Dumbbells are well-made which make them one of the best-selling dumbbells in the market. These bells are suitable for all-around use, and the addition of a unique dial mechanism makes it a joy to have. They are comfortable and have a contoured rubber-griped handle. The dumbbells with the quickest and easiest weight switch. They come with a 2-year warranty. The weight range is not expandable beyond 52.5 pounds. The weight brackets can be damaged when dropped too much. The Bowflex SelectTech 1090 Adjustable Dumbbells are actually an upgrade of the 552 variant. These dumbbells are specially designed for the professional weightlifters who are inclined to a more strengthening exercise regimen. As an upgrade of Bowflex SelectTech 552, the Bowflex SelectTech 1090 Adjustable Dumbbells are a better piece of equipment to stimulate your biceps, triceps, abs and even spine. Bowflex SelectTech 1090 Adjustable Dumbbells have a sizeable adjustable dial mechanism to provide you with extended service life. This special feature lets you adjust the weight up to 90 pounds without facing any difficulty. Closely associated with weightlifting are many accidents. Bowflex considered this and ensured that the Bowflex SelectTech 1090 Adjustable Dumbbells come with a lock mechanism to lock the plates into position so that they don’t get loosened during use. Meanwhile, Bowflex also infuses a bit of technology in the design of these dumbbells’ handles as they are ergonomically designed. Generally, the Bowflex SelectTech 1090 Adjustable Dumbbells are a great piece of equipment to try out. If you’re a professional weightlifter, or you think you are, the Bowflex SelectTech 1090 Adjustable Dumbbells lets you try out heavier weights. 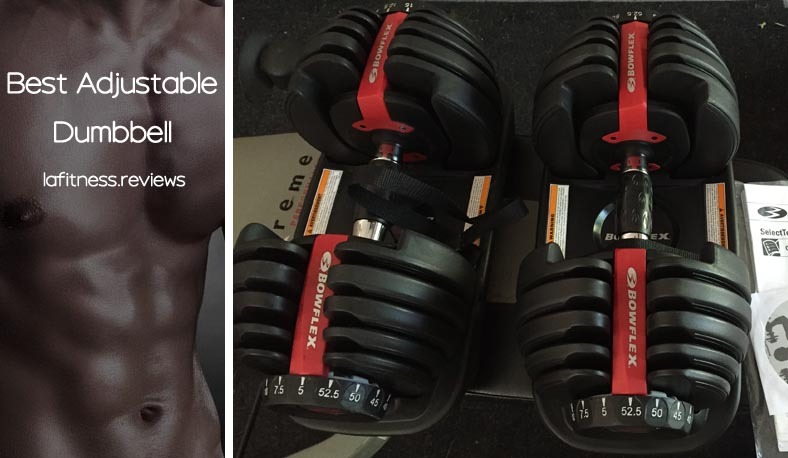 The Bowflex SelectTech 1090 Adjustable Dumbbells are nice and user-friendly. These dumbbells have a more extensive weight range than the Bowflex 552. They are built with high-quality materials. The weight bracelets can easily get damaged if dropped too much. The long, larger size makes the dumbbells a bit awkward sometimes. If you’re on a budget but still want to try out one of the best adjustable dumbbells on the market, then the Yes4All Adjustable Dumbbells are the perfect choice for you. The adjustable cast iron dumbbells are affordable and come in a range of sizes and weights, but the most popular among them is the 105 adjustable pound set. Without compromising on the essential features, the Yes4All Adjustable Dumbbells are a fantastic set of dumbbells to carry if you want the feeling of holding a traditional dumbbell. As stated earlier, the Yes4All Adjustable Dumbbells come in multiple weights according to your preferences and requirements. The five weight variants include the 40, 50, 52.50, 60 and 105-pound sets. But what’s great about these dumbbells is that they are all under $100. The 40, 50 and 60-pound sets have plates with holes of 1 inch in diameter. Indeed, this is standard hole size for a dumbbell handle. However, the 52.50 and 105-pound sets which are the heavier sets, require a 1.25-inch diameter weight plate. The Yes4All Adjustable Dumbbells are suitable for beginner weightlifters as they can steadily increase the weight as they progress in their fitness level. They give incredible value despite their prices. The bells come in a variety of five weight sets. The paint begins to chip as time goes on. The Power Block Elite Dumbbells are a set of compact, high-quality adjustable dumbbells that give real value for your money. These dumbbells are a perfect choice for a home weightlifting exercise. These dumbbells come with a unique design that lets you adjust the weight easily and quickly too. In increments of 5 pounds, the weight can be adjusted from 5 to 90 pounds without any hassle. The Power Block Elite Dumbbells are constructed using high-quality steel that is easy to grip and use. Another prominent feature of the Power Block Elite Dumbbells is the closed cage design of the handle which helps reduces the chances of a wrist injury during a workout session. Meanwhile, the weights are easy to change as well. In fact, in less than five seconds, you’re done with it. Essentially, the Power Block Elite Dumbbells are built to help you concentrate on your workout instead of focusing on gripping them. The Power Block Elite Dumbbells are one of the most versatile adjustable dumbbells on the market you should buy, especially if you don’t have much space in your home. Some persons are put off by the closed cage design. If you’re looking to buy a solid pair of adjustable dumbbells that will not burn a hole in your pocket, then the Power Block GF-SPDBLK24 Adjustable SpeedBlock Dumbbell is a great choice. These dumbbells are designed for people who especially want to be able to get in some quick, light-weight training. 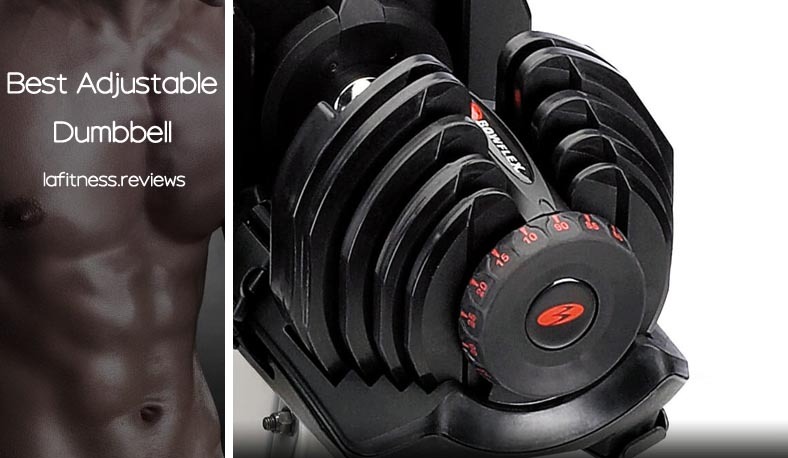 The Power Block GF-SPDBLK24 Adjustable SpeedBlock Dumbbells possess a spectacular weight adjusting mechanism that lets you adjust the weight from 3 to 24 pounds in a 3-pound increment. And that’s not all; this weight adjustment system is high-speed and easy as well. In fact, all that’s required to change the weight is to move the selector pins as though you’re changing the weight stack in a weight machine. Another great feature of these dumbbells is their comfort nature. The padded handles are fantastic as the compactness keeps them from rotating while you lift them. When weight is compact, it makes it even safer. Meanwhile, the adjustable dumbbells are light and can be easily lifted by an amateur fitness enthusiast. The pair of 24-pound adjustable dumbbells makes them a robust piece of fitness equipment to build stronger muscles. The Power Block GF-SPDBLK24 Adjustable SpeedBlock Dumbbells are the fantastic pair of adjustable dumbbells for fitness enthusiasts who are looking for affordable and easy-to-use adjustable dumbbells for a light workout session. The compactness makes them safe to use. You may also like: Can swimming build muscle? 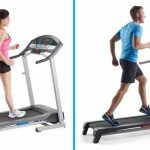 Obviously, before you buy any kind of fitness equipment you have to make sure that it will suit your specific style of training and workout requirements. The same is the case with adjustable dumbbells. There are a wide variety of amazing products available on the market nowadays. You will need to consider factors such as your personal preference, workout goals, habits, space, as well as other preferences before making your decision. As far as our recommendation goes, we choose Bowflex SelectTech 552 Adjustable Dumbbells.